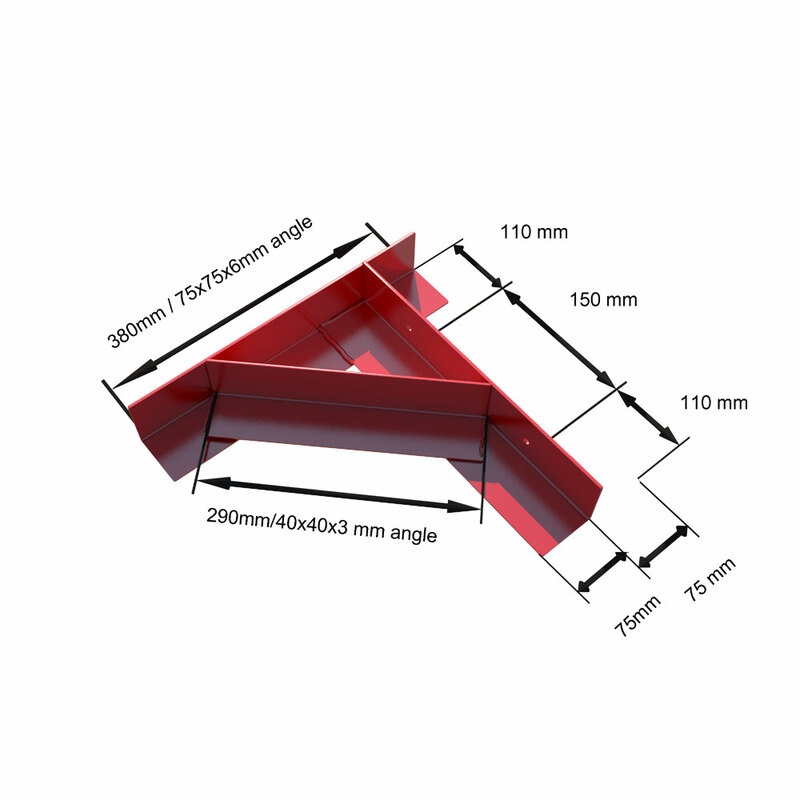 380mm (Top) x 370mm (Leg) - Made from 75x75x6 RSA (Rigid Steel Angle) with 40x40x3 RSA brace. These gallows brackets are designed to support your chimney remaining stack once the lower portion has been removed. Optional tab can be added to the bottom of the leg if required for additional support. Fully welded by qualified Welder and finished in Zinc rich powder coating. 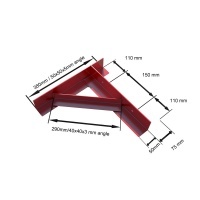 These gallows brackets are designed to support your remaining chimney stack once the lower portion has been removed. The holes in the down legs are pre-drilled with a 13mm hole. If required we can add an additional tab on the bottom of the down leg if required for additional support. 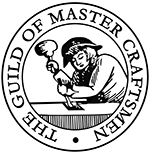 We manufacture our Gallows Brackets in house and should not be confused with cheap imports. If you require a bespoke size please call us and we will be happy to provide a quotation.